The Dash Cam 55 is one of the latest dash cams released by Garmin. Garmin is one of the few “brand name” manufacturers involved in the dash cam market. While many of the large camera players (Canon, Nikon, Sony, etc.) have not entered the dash cam market, Garmin has been selling dash cams for approximately 5 years. The Garmin Dash Cam 55 uses an Ambarella A12A55 processor and OV4689 CMOS sensor. The camera records 1440p at 30 fps with a bit rate of approximately 19Mbps. Video quality is very good during the day and average at night. Even though the Dash Cam 55 has a high bit rate, video is not as detailed as would be expected. The camera is quite small at 56 mm x 35 mm x 40 mm and has a “Go Pro” rectangular style. Even though it is small, the form factor and bronze ring around the lens make it more visible than some of the wedge cameras or cylindrical cameras. On the positive side, the camera has a 2″ LCD screen which makes it easy to configure the camera. It also comes with GPS, G-sensor and WiFi. The camera can be connected via WiFi to the VIRB app to browse and download videos from the camera. Strangely, there is no ability to adjust settings in the app or preview the videos before downloading. One of the negatives of the Dash Cam 55 is that it uses a battery instead of a capacitor which is not ideal in hotter climates. The camera does have a temperature protection function which turns off the camera if it overheats before it gets damaged. Initially this temperature protection was set too low causing the camera to turn off. The biggest complaint with Garmin Dash Cam 55 is overheating and the camera shutting down. 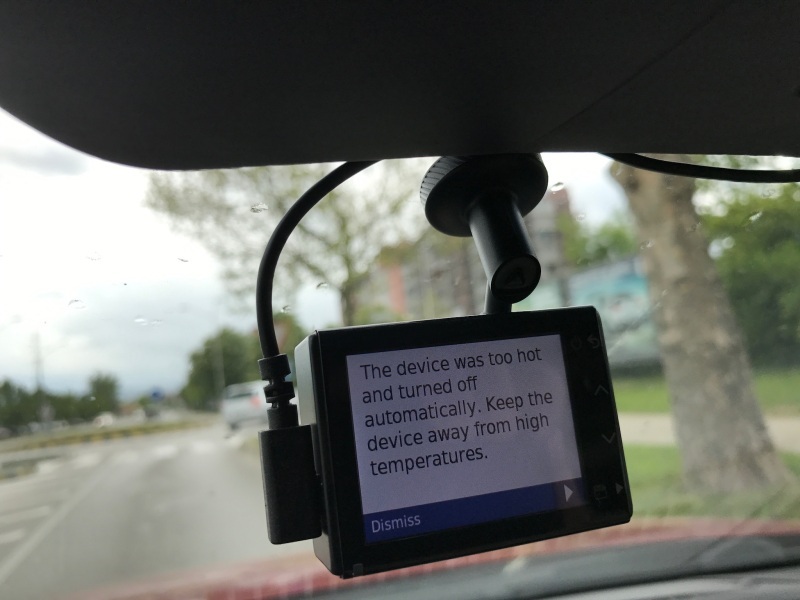 This occurred initially when the camera was released but recent firmware updates have appeared to resolve this problem by increasing the temperature shutdown threshold. The following message appears on the screen when this occurs. Garmin has been improving their dash cam models over the last 5 years and the Dash Cam 55 is their best effort to date. Video quality is good but not the best in the market, camera is small but not the most discreet and build quality is excellent. That being said, some consumers want a name brand product with a company that will provide customer support if needed, including regular firmware updates. The ability to purchase this camera at your local Best Buy or Costco and have full customer support is a great selling feature and worth the premium to many buyers. Overall the Garmin Dash Cam 55 is likely the best “name brand” camera available today. If you don’t care about the brand, the A119S offers better performance for a lower price. 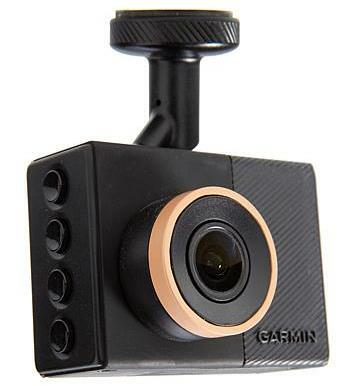 To see what other owners have to say about this camera, visit our Garmin Dash Cam 55 forum. Final Word While not perfect it is the best "brand name" camera available on the market today. Decent all around performer and good support but a bit pricey.